There are over 100 restaurants participating in Restaurant Week 2019. This makes it a challenge to create a concise list of all of the amazing eateries offering a special menu in the city this winter. However, I managed to create a short list of places from uptown to downtown for consideration. Your taste will lead the way. This is a good time to discover a new and exciting hot spot to raise a glass, fork, spoon and knife. Restaurant Week offers great deals for every budget to try new cuisine, gather with friends, family and experience what the best chefs are bringing to the table. Following are my suggestions and is based on various menus in several neighborhoods throughout Manhattan. #5: Astor Court (Midtown). 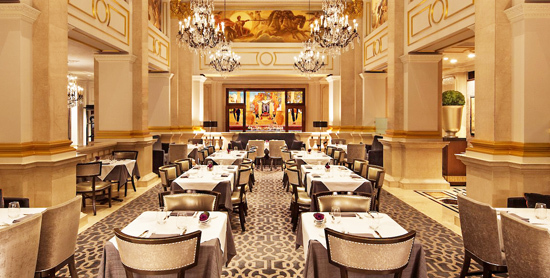 In the St. Regis Hotel is this ‘swellegant’ space and the epitome of New York City opulence, with a spacious dining room that feels like walking onto the set of a movie about the Vanderbilt’s, The Carnagies or perhaps one of today’s gilded tycoons. If Swarovsky crystal chandeliers and faux murals are your thing, look no further than here. Its all-inclusive menu reflects the glam and prestige of a power tie affair. Tip: For starters you can have their Kale “BLT”, Tuna and Hijiki Poke or Champagne Risotto. Entrees include: Miso Salmon, 5oz Filet or Crab Ravioli. The dessert selection is either a Pear Panna Cotta or Chocolate Mouse with Caramel Ice Cream. #4: The Loyal (Greenwich Village). 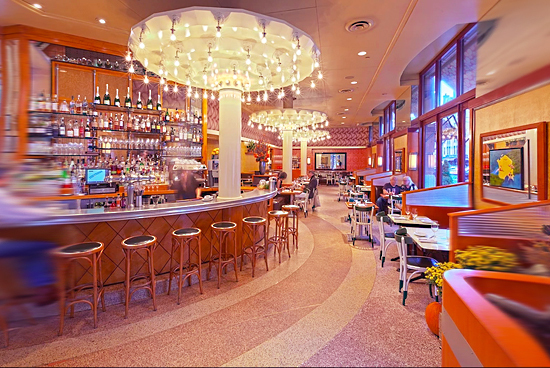 With its Michelin Star chef, John Fraser, this popular restaurant on Bleeker Street draws in a lot of foodies as well as people who want to see what all the talk is about (as well as be seen). Trendy? A bit. Delicious? Yes! Tip: They offer a two-course lunch every day, a three-course Sunday dinner and two-course Sunday Brunch only. The prices vary and like most of Restaurant Week; they don’t include beverages, tax or tip. #3: Nice Matin (Upper West Side). After living 30 plus years in this neighborhood, it took me a while to enter this restaurant because it looked a bit pretentious and chock-full of bankers and transient corporate types who come and leave NY in one year. I ended up visiting there a few months ago by accident when caught in a rain storm and I am hooked. The food and service are exactly what the UWS needs. Unfortunately they are not offering their incredible paté or lobster pasta on their Restaurant Week Menu but their selection is still worth the visit. Tip: Try their $42 prix fixe dinner including Gnochetti al Uovo, Branzino, Pork or Duck and for dessert I suggest the Steamed Lemon Custard. 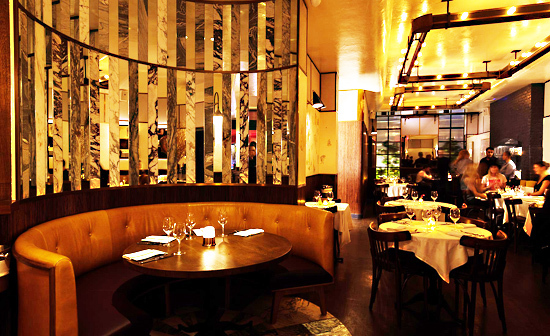 #2: MAMO (Soho). 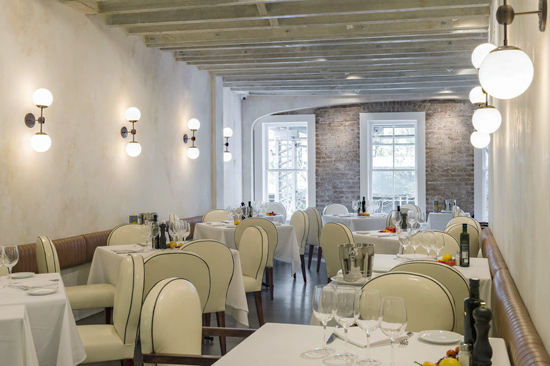 A New York staple for many years that originated as MAMO Le Michelangelo on the French Riviera, the cuisine at this consistently awesome place is a salute to variations of traditional Mediterranean cuisine. I’ve dined here several times and always order their Veal Chop Milanese with green salad and cherry tomatoes. Go for the food but you may also spot a celebrity, model, producer and those who crave fame. I, on the other hand, only crave their food and classic cocktail: The Negroni. Tip: Start with Seared Tuna, endive, capers and citrus dressing. You may also want to try the Red Snapper with putanesca chick peas, and broccoli rabe or the Fusilioni with peas, mushrooms in a tomato and parmigiano sauce. #1: Beetle House (Lower East Side). 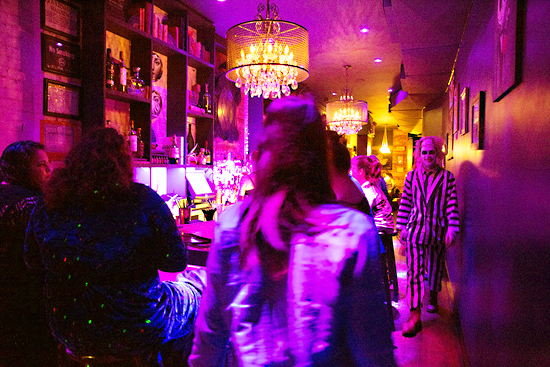 A little off the beaten path for most and a lot off the charts for many, this restaurant has been attracting fans of Tim Burton and Halloween for many years. It’s not exactly part of Restaurant Week because they only offer a prix fixe menu of $35 to $45 depending on your selections. It is certainly worthy of a trip to the East Village. Tip: Their menu includes Vegan dishes like “Shroom Sliders” made with pulled oyster mushrooms, caramelized onion and pickled slaw on a sesame sweet bun. The Edward Burger Hands says it all for carnivors. (You can also order Edward Vegan Hands). If Halloween and the talented artist behind the scenes of cult and classic movies is your thing, this is your destination because they celebrate both Halloween and Mr. Burton every day. Note: Cash only at the bar. The majority of restaurants participating in this yearly tradition offer a two-course or three-course prix fixe meal — $26 lunch or $42 dinner. Restaurant Week NYC 2019 runs until February 8th. P.K. Greenfield is the BNNYC City Pulse and Metro Man Editor. He is a freelance writer for several publications including, Millennium Magazine, Passport, British Airways Magazine and i-Italy.